Be energetic and wear geometric! 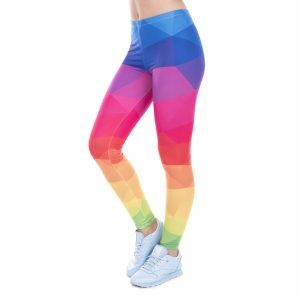 Get into shape with these fabulous ‘shape’ wear leggings. The shapes comprise of triangles of lush, warm marine colors of blues and purples, in a random pattern, to suit random thinkers. Try a new angle with some new triangles.